What if in every situation you entered, the people around you just naturally felt a sense of trust and competency - a sense of leadership - about you? How would that affect your career, your relationships, your levels of confidence and satisfaction throughout your life? What if leadership presence wasn’t something mysterious you either have or not, but something that is a learnable skill? Would it be worth it to you to find out more? If so, I invite you to join me for an upcoming, free, interactive and practical workshop that will teach you how you can develop the powerful leadership presence you need to move to the next level and beyond. If you are serious about up-levelling how you show up as a leader within your life - this workshop is for you! Space is limited and filling up fast, so reserve your spot today. Please bring your open mind, desire to learn and something to take notes with :). Only 25 spots available so be sure to register today! *Please allow yourself at least 10 minutes to find parking and make it into the university building so that you are on time for a 6:30pm start. Find out more about Ruth, the workshop facilitator here. Sign-up for our newsletter if you want to be among the first to know when the next workshop is booked. What if you could lead more effectively with less effort? The word authenticity is used a lot these days, but what does it really mean and how can you learn to access it to increase the power and effectiveness of your leadership? Join us for this free, interactive and practical workshop to learn how to access your authenticity and to leverage this to lead effectively with integrity and ease. Do you ever doubt your abilities causing you to hesitate, hide or hold back? Is your potential and your full capacity are going unrecognized? Do you struggle to speak up loudly and clearly for what you truly believe in? What if it were possible to be seen and heard fully as the inspiring and confident leader you were meant to be? This 90min, FREE, interactive workshop will give you breakthrough insights and practical actions you can take immediately to gain the courage and confidence it takes to be seen and step more fully into the leader you are meant to be. Do you ever struggle to stay connected to your purpose and power? Are you sacrificing your own needs or vision to the needs and expectations of others? Do you feel called to do/be/express more but find yourself not following through to the degree you want to? An exercise to connect you to your powers of expression and an opportunity to practice with the group! This workshop is designed with women in mind… However men interested in the material (also very applicable for men!) are totally welcome to attend as well. There are already a couple gentlemen signed up to join us :). Does your self-doubt hold you back from being the person and achieving the things that deep down you know you are capable of? Are your full capabilities going unseen or under-appreciated? Do you give in to the opinions, ideas or desires of others too easily? What if you could move beyond the limiting effects of your self-doubt? What would you do, change or achieve then? This free, 90min workshop will give you powerful insights and practical tools to overcome your self-doubt and step powerfully into the person and leader you were meant to be. -Do you ever feel that you fall into the role of ‘silent supporter’ in your workplace or community, quietly getting things done unseen, unheard and under-appreciated in the background? -Do you too often sacrifice your own needs and direction for the agendas of others? -Do you ever doubt your abilities causing you to hesitate or hold back? -Do you back down too easily from conflict or challenge to your point of view? What if it were possible to be seen and heard fully as the inspiring leader you were meant to be? 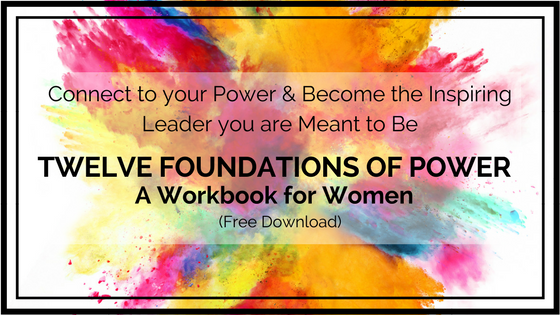 This free, interactive workshop will give you breakthrough insights and practical actions you can take immediately to gain the courage and confidence it takes to be seen and step more fully into the leader you were meant to be.